LIVE NEIGHBORHOOD. 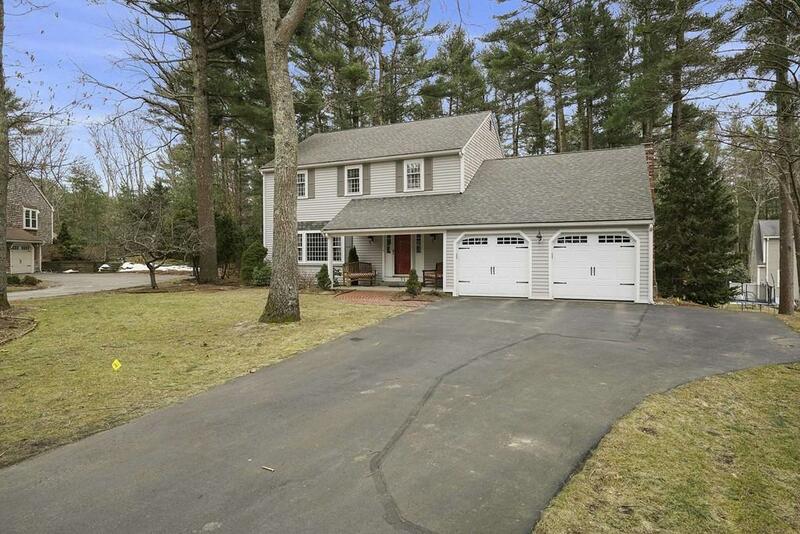 Beautiful four bedroom colonial with updated kitchen and baths located in quiet cul-de-sac setting. Open floor plan with gourmet eat-in kitchen, spacious family room with beamed cathedral ceiling, sky light and fireplace â¦.perfect for entertaining. Deck off the family room provides sunny spot to enjoy the outdoors and bird watch. Picture windows allow natural light to fill room. Four bedrooms upstairs with brand new bathrooms. Bonus room makes an excellent home office, hobby room or playroom and offers generous storage with three walk in closets. Finished walk out lower level offers more office space with gorgeous custom built-in cabinetry, storage and wine cellar. Hardwood floors throughout, central air and 1 year home warranty being offered. Nothing to do but unpack your bags and move right in!